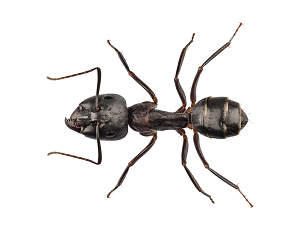 Carpenter ants are large ants indigenous to many parts of the world, including the Puget Sound area. They can do considerable damage to homes over a period of time as they excavate and hollow out portions of lumber to build their nest. If an ant colony is threatened, they can pick up and relocate in a matter of days. Damage from untreated carpenter ant infestations can cost homeowners thousands in repair bills. Our inspectors are trained to identify the type of ants lurking around your home. Once a Carpenter Ant infestation is identified and the structure examined, your inspector will design a custom treatment plan to get rid of them. Depending on the severity and location of the Carpenter Ant infestation, several tactics can be used to get rid of them. On most homes, the wall voids are treated from the exterior to eliminate nests and protect against re-infestation. The unseen parts of your home are often areas where Carpenter Ants like to build their nests. 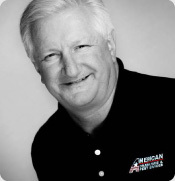 The wood in attics and crawlspaces offers the perfect environment for an infestation. We treat these areas when necessary to get rid of them. Subfloor plumbing gaps in kitchens and bathrooms are super-highways for Carpenter Ants foraging for water and food. Baiting these areas is an effective part of the treatment plan. Carpenter ants typically establish secondary satellite nests in walls or other wood areas of your home. The primary nest is usually located outside the structure and can be hundreds of feet away. Since the primary nest is often difficult to locate, it is important to establish a perimeter barrier to keep ants from coming back inside your home to revive the treated satellite nest. Getting rid of Carpenter Ants is a process that demand expertise and patience. While a significant number of ants are eliminated within the first few months, it can take up to a year to completely eliminate a large infestation. Regular perimeter sprays and interior baiting will ensure total elimination of the Carpenter Ants in your home and will keep them out, guaranteed! If these steps are followed, we guarantee your home will be Carpenter Ant free. If they find a way back into your home on our watch, we’ll get rid of them!